People Are Approaching Salon To De-Stress Themselves From The Hectic Life Style. Thus, It Is Very Important To Create The Perfect Ambiance And Decor In The Salon. Designing the interiors and decoration of the place is one of the most essential parts before starting any business. The beauty of the place should be able to attract people. Your Salon business should be well designed, fashionable and attractive to get the attention of the customers. 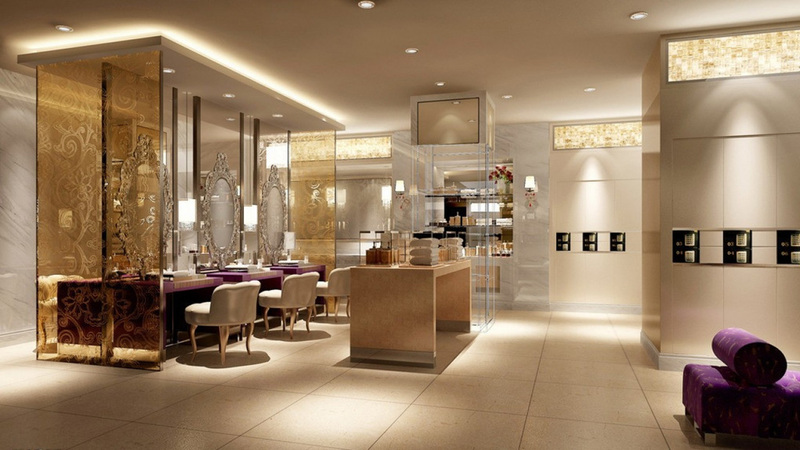 Quality interior design of beauty salons should optimize the maximum comfort of customers and the convenience of staff. It is said that the first impression is the last impression. Remember, you only get one chance to make a first impression, so make it count! In the beauty industry looks is the most important aspect. Salon interiors can make or break your salon success. You must have quality interiors to beat your competitors and attract more customers and convert them into a loyal customer. Whether it’s a new or returning customer entering your salon, always make sure it looks presentable and clean. When a client walks into the salon, its beautiful interior design will tend to create the best and lasting impression. Your interiors will reflect your values and the type of experience you offer your clients. Every aspect of your interior designing should reflect beauty and style. This is essential to retain the customer for the success of your salon business. Your salon is your creative statement since it shows the way you conceive beauty and how you express it to the world. Bring forth your goals and values in designing your space and create a beautiful and functional salon that customers will want to return to. Your beauty salon should be appealing and elegant for the consumer as well as staff working over there. One of the important benefits of salon interior designing is the maximum utilization of the available space that will be comfortable for staff as well as the customer. Interior designing ensures that you have the space to fit all your furniture and equipment and still have enough room to move around without knocking into clients or other colleagues. Interior designing professionals have the expertise and knowledge to design and create awesome, multi-functional and spacious interiors within the given space and the budget.